Take a break. Breathe deeply. Let your worries go. You're not going to buy the wrong device. You're not going to fail at installing it. You're not going to be stuck with a load of gadgets and apps that don't work. Just ask an Alarm.com service provider, and they'll take care of everything. It's the easy, affordable way to own a state-of-the-art smart home. Buying smart devices that don't work together is an expensive shortcut to a not-very-smart home. 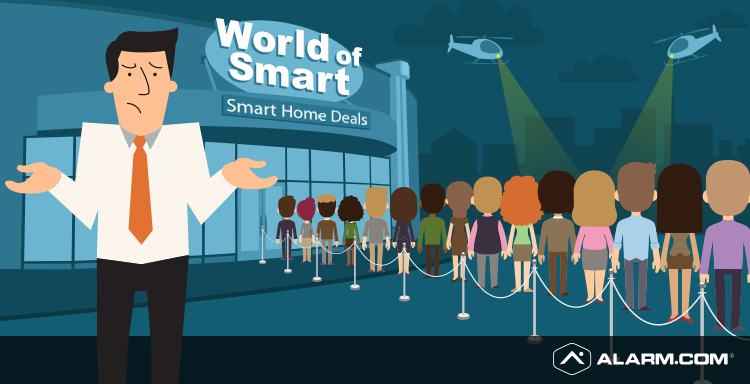 With Alarm.com, your service provider helps you pick the right devices for your home. Get started with smart home security and add thermostats, lights, video, locks, garage door openers, smoke detectors and more. With one platform, everything works together from day one; no IT skills required. Want to find out more? Click here to get connected with an Alarm.com service provider near you.